UPDATED: Tue., Nov. 6, 2018, 10:20 p.m.
Washington isn’t likely to levy a fee on crude oil and other fossil fuels to help fight climate change. 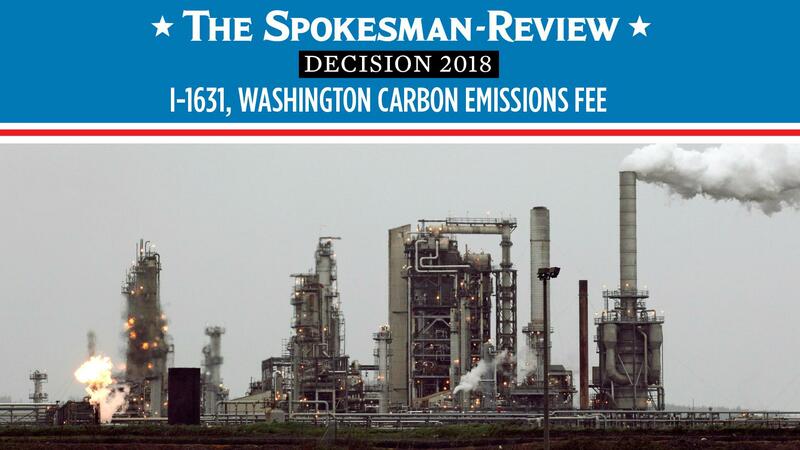 Initiative 1631, which would have slapped a $15 per ton fee on many sources of carbon pollution, was failing in ballots counted Tuesday night. Although it passed with about 57 percent of the vote in King County, the state’s most populous, it was failing in most of the other 38 counties. The fee would have been assessed on oil refined into gasoline, diesel or heating oil. Drivers could have seen an extra 12 cents per gallon added at the pump in 2020, with increases of 2 to 3 cents per gallon every year as the fee rises. Utilities that use natural gas or coal to generate electricity, and natural gas suppliers also would have been assessed a fee. Those fees would have collected an estimated $2.3 billion in the first five years, the state Office of Financial Management said. The money would have been divided so that 70 percent went to clean air and water projects, 20 percent to conservation and forest preservation and 10 percent to low income assistance. Funded primarily by major oil companies, the campaign against I-1631 was the most expensive in history. As of Friday, the no campaign had raised $31.5 million, and spent most of it in an avalanche of ads delivered by mail and a flood of television ads. They hammered on the rising cost of gasoline and utility bills and the fact that some industries that produce carbon pollution in the state would have been exempt from the fee. The yes campaign wasn’t able to match that dollar for dollar, but did generate an advertising blitz with a campaign fund of $15.6 million that got seven-figure help from The Nature Conservancy, The League of Conservation Voters, Michael Bloomberg and Bill Gates. They recruited medical professionals to talk about the health hazards of carbon pollution and environmentalists to talk about burning forests, rising sea levels and other projected dangers of global climate change. Published: Nov. 6, 2018, 9:07 p.m. Updated: Nov. 6, 2018, 10:20 p.m.